We are a friendly amateur dramatic society based in Cottenham. Each year we put on a play and a pantomime, and as a group, we are always looking for new talent on stage (enthusiasm and a smile are all you need) but, equally important, is the backstage team. Putting on two shows is no small feat, so there are plenty of opportunities to have a go at a wide variety of roles. We welcome members from the first year of senior school (Year 7) upwards. As mentioned, we are always looking for new people to join both on and off stage – we don’t mind if you’ve been involved with theatre productions for 50 years or that this is your first ever show. As a theatre workshop, we are always happy to train people up in different roles – indeed, many of our members have learned lots of different skills from being part of the group. To find out more, or to get involved right away, you can use the Contact Form on the homepage to get in touch. Actors – The crazy people who like to get up on stage in many different roles. We audition for parts for every production and are proud that we don’t favour those who have been in shows with us before – we always try to choose the best person for the part. 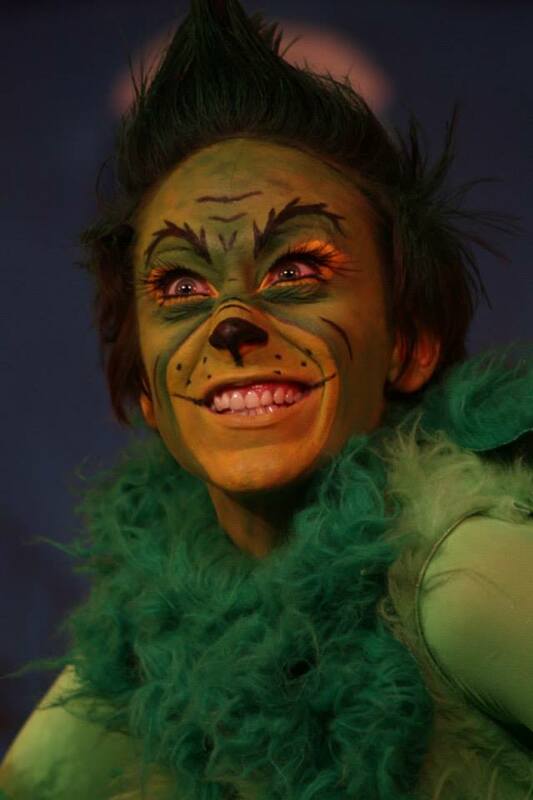 If you are someone who likes taking part but doesn’t want the main role, then don’t worry; there are lots of opportunities for being in the chorus and not having to speak or sing any lines on your own, especially in panto! Director – The director usually selects which play we will be doing, and sets an overall vision that can be brought into being by the other members of the production team, as well as directing the actors in rehearsals. This may seem like a daunting task, but in recent years we have had new directors being supported by a more experienced ‘old hand’, and even a show where we had several directors, each directing a short play. Producer – Although some directors like to manage every little detail, others leave the non-acting side of things to their producer. 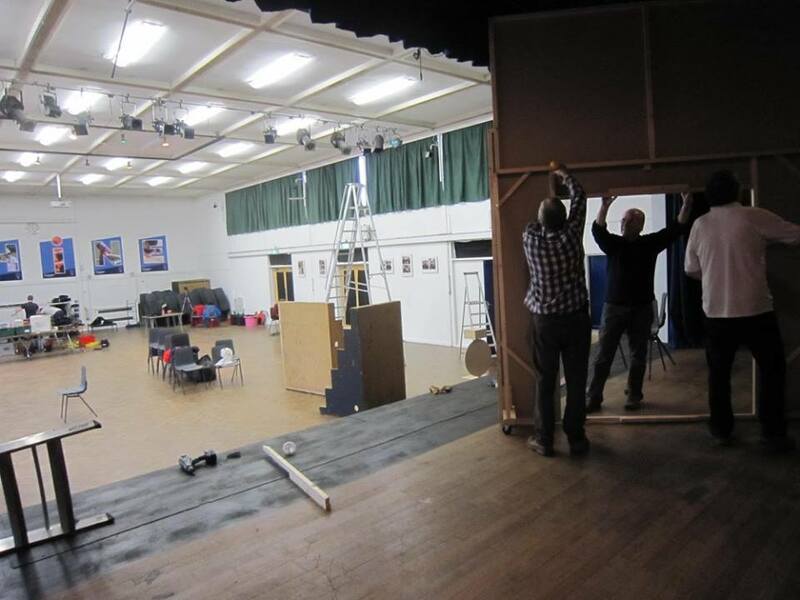 The producer’s job is to ensure that everything gets done, liaising with those creating set, props and costumes as well as the technical team and publicity. This is definitely a job for the very organised! 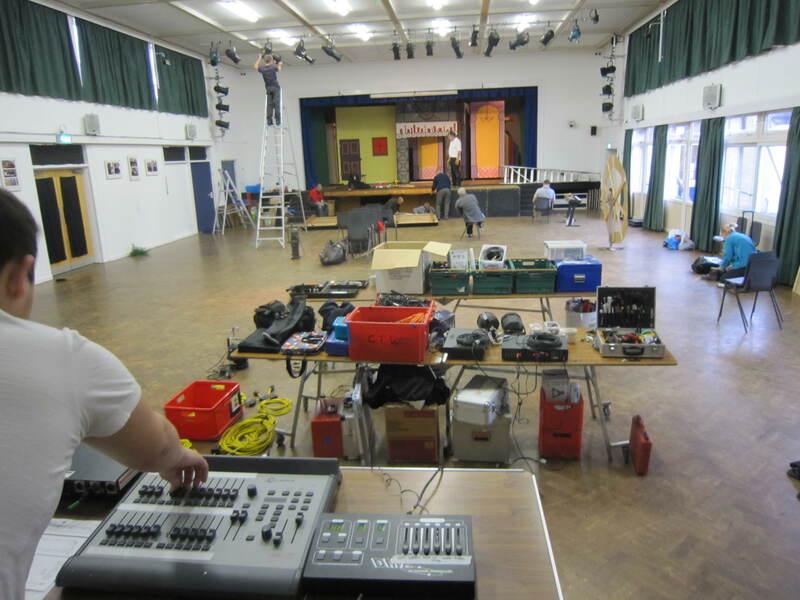 Musical Director (mostly just for pantomimes) – Generally sorting out the musical aspects of the show. Dependent upon skill, ambition, or what the director wants, this can include leading singing rehearsals, arranging music for singing parts and potentially for the different members of the pit band. In recent years, we have run the gamut of different approaches, from using original music composed for CTW, through arranging existing songs and mashing up two tracks, to using backing tracks we recorded ourselves. Rehearsal pianist (mostly just for pantomimes) – playing the piano for singing rehearsals, and helping the actors to learn their singing parts. The rehearsal pianist is usually only needed once a week for most of the rehearsal period, but may also be asked to play in the pit band in show week. Technical director – a mind-boggling task, the technical director is responsible for everything relating to set, lighting, sound, and the director’s mad whims, from smoke machines to artificial snow to lists of 500 lighting and sound cues. This may sound daunting, but our experienced technical crew will always be on hand to guide, assist, and help you learn the ropes (literally, in the case of the curtains!). Sound and lighting operators – where the technical director commands, sound and lighting must follow! This could include sourcing sound effects, setting up the lights, operating the sound and lighting desks during shows, setting up our pyrotechnic effects, or even just manning a follow spot to make sure those pesky actors are always in the spotlight. Backstage crew – responsible for making sure the various items of set and scenery (and sometimes props) are in the right place at the right time. 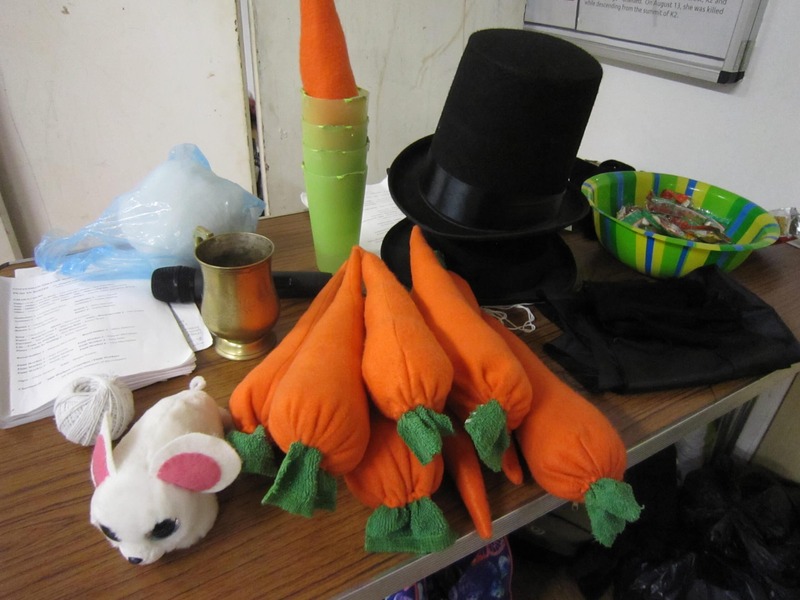 Occasionally, the backstage crew even make cameo appearances in our productions! Props – sourcing the various strange items required as props can be a fun and sometimes challenging task, requiring a degree of creativity and a good eye for a bargain. We have a large shipping container full of props we have used on previous occasions, from a bird in a cage to an Airfix musket to a set of neon-coloured teacups, some of which can be reused or adapted for new purposes. Costume designers and makers – we have an extensive costume shed, but sometimes what the director wants isn’t available off the peg. Whether you love to design and make things from scratch, or if you’re a dab hand at sewing and alterations, from adding buttons to turning a lab coat into a tailcoat, your skills are needed. Choreographers (mostly just for pantomimes) – choreography involves not just creating dance routines, but also teaching them to the cast, who have a wide range of dance ability and experience! Publicity – if your skills run to graphic design or creating works of art, you could find a role designing our posters, flyers, banners and programmes. Publicity might also include being on top of the various channels through which we advertise our shows, from the village newsletter to social media. Experienced Cottenham residents will be on hand to remind you of print deadlines and publication dates should you need it. 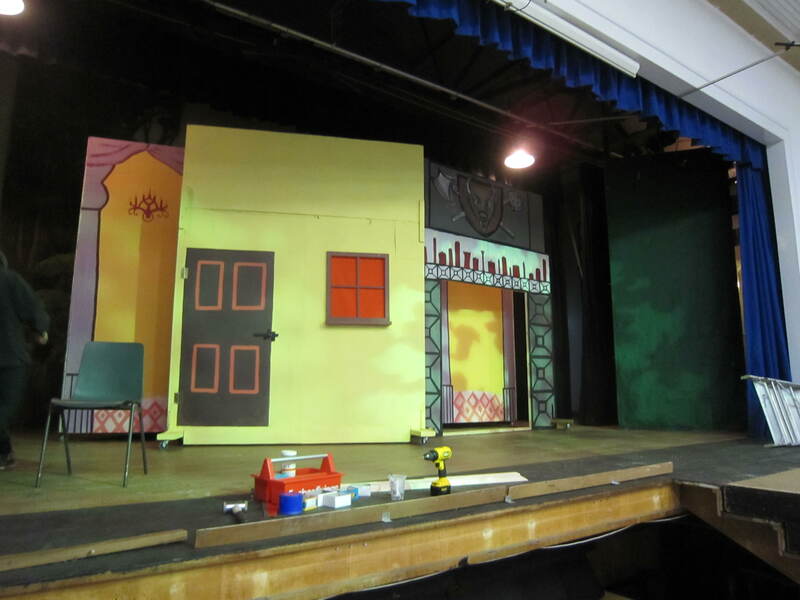 Set designers, builders and painters – we need arty types who are willing to think big, to design and draw our sets and scenery, and anyone handy with a paintbrush, whether you are Michaelangelo or your biggest masterpiece is the kitchen ceiling. If you are into DIY, carpentry or giant fireplace construction, your skills are needed, too – you never know what surprises set construction will throw up! Prompt – for when the actors (inevitably) forget their lines. Pit band members (mostly just for pantomimes) – whatever instrument you play, as long as you can play to a good standard, we want you in the pit band. We have a good core of musicians, but more are always welcome – the bigger the sound, the better! Front of house – welcoming audience members, selling tickets, serving or selling drinks, and sorting out any problems with tickets, bookings, etc. We have a fantastic team of front-of-house volunteers, but more are always welcome, even if you can only help on one night – we couldn’t put on our shows without them. 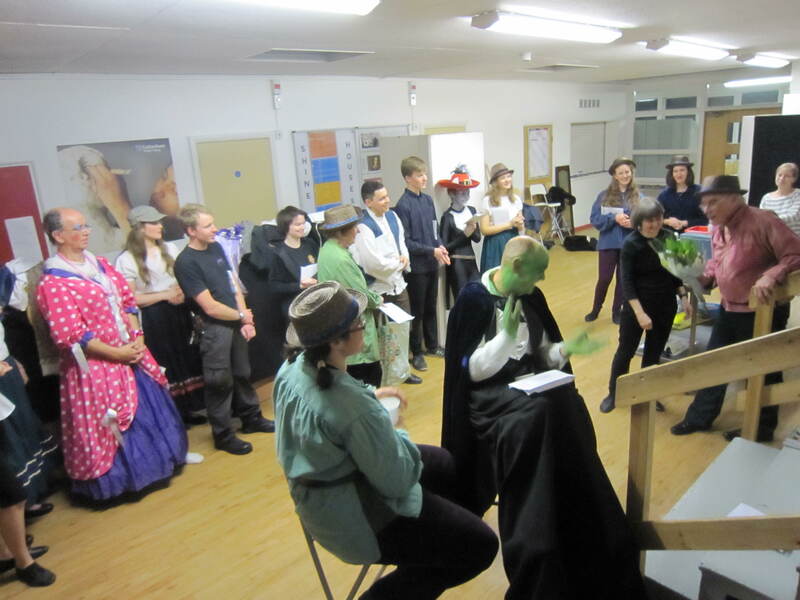 Many of these roles, particularly those in a backstage capacity, don’t require you to attend many rehearsals, and some (such as publicity or costume design, for example) can be done in your own time, in your own front room. If you have any questions or want to get involved, then please use the Contact Form on the home page.